Whenever Julianne Hough appears on the red carpet, her skin emits a healthy, rosy, and youthful glow that we absolutely love (and subsequently try to mimic in our day-to-day life). We've said it before and we'll say it again: You can never go wrong with fresh skin. Even though we love a matte finish as much as the next person, there's just something about dewy skin that we can't get enough of lately. She has her longtime makeup artist (and good friend) Spencer Barnes to thank for her radiant makeup. According to E! News, Barnes recently recommended a $3 blush that he swears by for giving the ultimate glow to his clients. It also happens to be super accessible, totally under the radar, and super effective. We know this because we love it too. We guess you could say that it's Byrdie-tested and makeup artist–approved. Keep scrolling to see exactly which product it is. 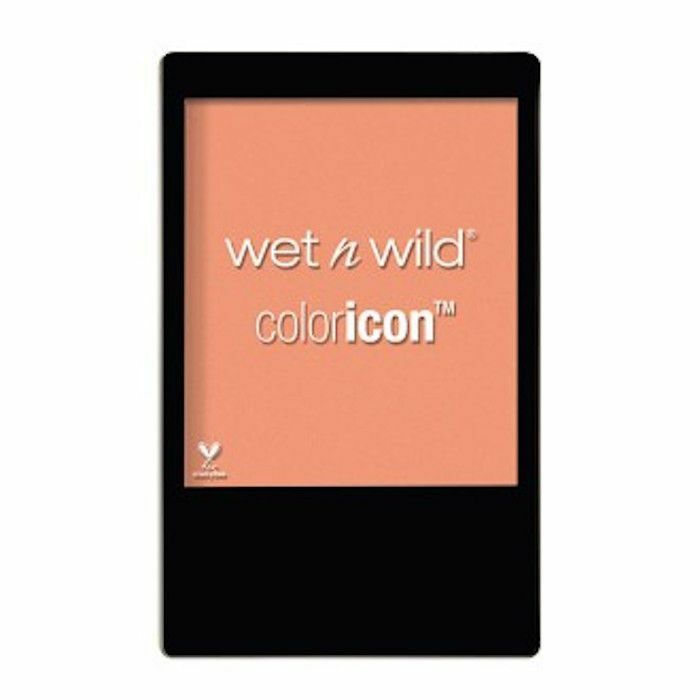 The product in question is this Color Icon blush by the classic drugstore brand Wet 'n Wild. It provides a transparent sheen of tangerine-pink that looks super flattering to anyone who wears it. "This is one of my favorite supermarket products," Barnes said. He dusts it over the cheekbones using a powder brush (our favorite is the Sephora Collection Pro Featherweight #91 Powder Brush $40). This adds a muted pink tone to the center of the face, which complements a healthy, dewy complexion. Take it from us. Don't let this product's inexpensive price fool you. The pigment is silky smooth and rich. Just one dusting gives a soft, subtle glow that we love. Aside from this shade—the Apri-Cot in the Middle—we also love Mellow Wine ($3), which is a rosy plum. Head over to E! News to view the full article. Then, see the new "brandless" beauty line that sells each of its products for $3.